Home / Sewing / What Is The Best Sewing Machine For Quilting? What features count the most in a sewing machine for quilting? If you got the skills and, more importantly, the will to start quilting, a long arm quilting machine is ideal to have. However, not all the time you have the room (and the budget) for a long arm machine. Additionally, a long arm quilting machine is a bit challenging for one as you need to constantly push and pull a 20 to 50-pound quilting machine head. It’s only a matter of time until you’re going to develop joint issues when using a long arm quilting machine. A regular sewing machine that works for quilting is a great option and the market gives you plenty of options. You just need to pay attention when buying so you don’t end up with a lemon. Household sewing machines are great tools and some of the most sought after items of today also. These may be smaller in stature but they still pack a powerful punch and handle the toughest of sewing tasks too. The electric machines allow you to sew with ease and are fully automatic which ensures quickness and prevents accidents. Without any farther introduction, here are the things to keep in mind when shopping for a sewing machine to use on quilting. The throat space (aka the harp space) is in fact the space between the needle and the main part of the machine, where the motor is typically housed. The throat space is really important and when you’re quilting in the center of your quilt, you have to fit almost half of the quilt through that part. When the throat space is cramped, it’s going to be impossible for you to finish a queen size quilt. Get a sewing machine with an 8” or more of harp space and even if you have to pay the extra buck, you should be wise and get it. This is a feature you always want on your sewing machine as it saves you lot of time and effort. When you stop and start the quilt paths at the edge of a quilt, you’re going to want an auto thread cutter that gives you speed and eases up quilting. many new sewing machines come with speed control feature and this an important one especially for the free-motion quilting. The speed control gives you more control and makes quilting a lot more comfortable too. Even though it’s a bit funny looking, the knee lift is a lever that sticks out from the machine so that you can easily lift/lower the presser foot. You use your knee to operate it and this feature itself gives you more speed during your quilting. You get to use both hands at all times for handling the quilt and this means less effort and easier quilting experience altogether. The pressure foot holds the quilt in place by applying pressure to the quilt. Some sewing machines let you simply adjust the pressure of the pressure foot. For instance, you’re going to need less pressure for a thin quilt as comparing to a thicker one. Overall, you need less pressure for your quilt as opposed to patchwork piecing. When you can’t adjust pressure, you are going to have to drag for the straight line quilting. If you’re stopping, where does the needle stop? The model of your sewing machine has a lot to do with this feature, as some may stop all the way down, whereas others are going to stop all the way up. Best sewing machines for quilting do come with needle down as it gives you more precision and saves you time too. You can also go with a sewing machine that defaults to up, but also lets you set the needle down. 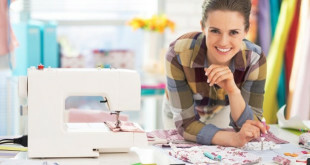 Even though the price range for sewing machines is quite wide, shopping on a tight budget for a sewing machine for your quilting isn’t ideal at all. 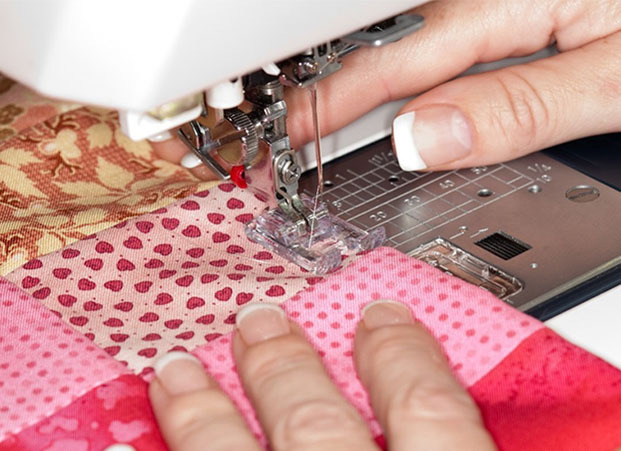 A lower-priced sewing machine isn’t the worst choice, but it sure cannot help you create the impressive stitches or the multiple layer quilts. The tension problems are quite common too so you should pay the extra buck for your sewing machine. Make the effort and get a sewing machine that is rugged enough to take quilting. After all, it’s going to worth it a lot! Many sewing machines come with a great variety of stitches, but this is never a selling point for quilting. Most of the time, you’re only using the straight stitch. Therefore, you should never pay the extra buck only because the sewing machine offers an impressive number of various stitches. There are many other features that truly matter. 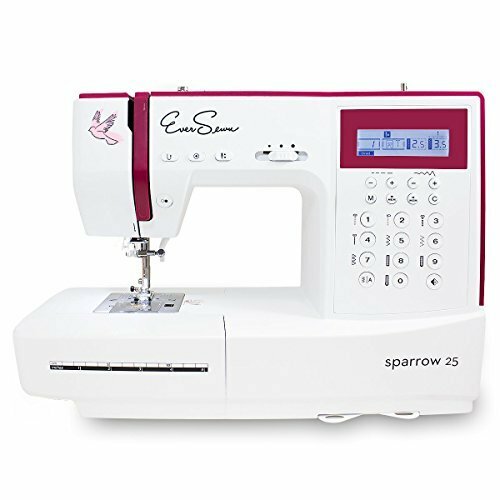 If you want to find a top quality sewing machine for quilting then you might want to consider the Eversewn Sparrow 25 – 197 stitch computerized machine. This machine not only looks amazing but offers everything you will need and so much more. Anyone who is interested in quilting will enjoy this machine. This really does have such a lovely look about it. The deep purple/red finishing across the top part of the machine is quite appealing and it makes it standout a lot more too. This is something you really want to think about so that you get the quality you need. The stitches are easy to set and once you have used this sewing machine a few times, it will be a piece of cake to use time and again. The LCD display is an attractive feature and there is also the LED sewing light as well. There are over one hundred and ninety stitch computerized so that is an amazing feature. However, the machine is quite cost effective and it’s quite appealing too. You shouldn’t have too much trouble with this machine. Another great machine to consider must be the Janome DC2015. This machine is a perfect option for those who enjoy quilting and those who want a sensible price too. You will absolutely adore the look and it’s very appealing who it’s been designed. However, the cost for the machine is quite good and you are getting real value for money. The white and red finishing to the unit is perfect too. You get a lovely looking machine and it helps to make it standout a lot more as well. Setting the machine up should be a piece of cake and it’s a quick machine too. You are going to just love how simple this sewing machine is and how easy it is to quilt with it as well. Anyone will love the machine and it’s really a top quality tool. 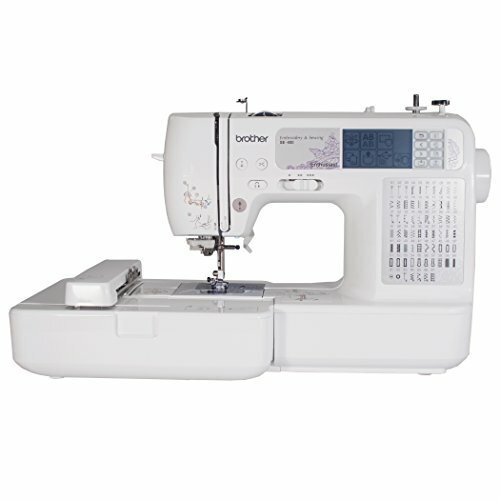 If you’re looking for the a machine for quilting you may want to consider the Brother Computerized sewing machine CS770 with 77 stitch functions. The machine is truly a top quality item and anyone who knows about sewing or quilting will recognize this is a great machine. There are forty built-in stitches to choose from which are all very great and it does show its versatility as well. However, you can get the quick set drop in bobbin which is a useful tool and helps to prevent tangling with threads. The LED display is quite an appealing feature and it comes with a great automatic needle thread too. These simple features are going to become a real winner for most and it’s going to appeal as well. This is a lovely machine and it’s quite easy to use as well. You are going to enjoy using the CS770 and it’s going to be one to enjoy forever. 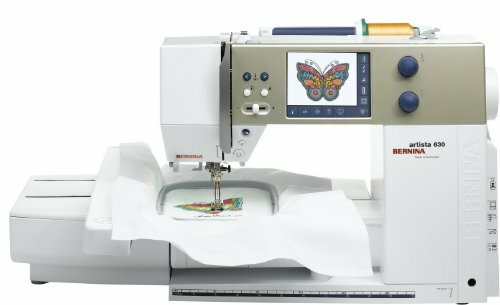 The Brother SE400 combination computerized sewing and 4×4 embroidery machine with 67 built-in stitches has to be one of the best sewing machine for quilting and embroidery. This machine does really work beautifully no matter if you want to try your hand at quilting or embroidering garments. That is the beauty of the Brother SE400 and it’s quite a strong machine as well. However, the cost for the machine is pretty good and sensible too so that is a real bonus no matter how you look at it. You are getting sixty seven built-in stitch solutions to choose from and there are many different designs to choose from as well. You also have five lettering fonts to choose from when embroidering. The LCD display is a great feature and the back lit touch screen is easy to use as well. The embroidery settings are easy to use whether or not you have a lot of experience with it. Sewing, quilting and embroidering with the machine is perfect! You can easily use this machine whether you have used something similar or otherwise. The Simplicity SW240 Quilters classic sewing machine is a perfect addition to any quilter’s collection today. This has to be the best machine for free motion quilting and it does offer so much quality too. When you first see this, you are going to enjoy the overall look. The design is pretty simple but it’s very effective and this is a great tool to use whether you’re a beginner or expert quilter. However the Simplicity SW240 does offer a nice and simple appeal. The costs aren’t overly expensive and the design to the front of the machine is easy as well. The one step buttonholer is a great feature and this is incredibly easy to use as well. The start and stop button is simple too but it makes it a lot easier to startup and use. There are a host of amazing stitches to choose from and the free motion settings are great. Threading is a lot easier with this machine and once you get this started up; you can use this time and time again. You will adore the machine so much and it is a perfect option for those who enjoy quilting. 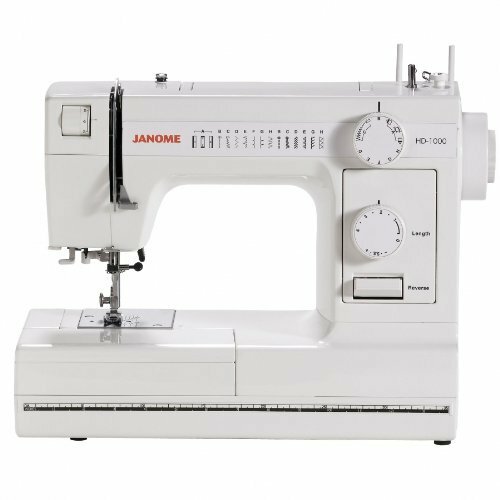 Janome HD1000 heavy duty sewing machine with 14 built-in stitches is a great tool to use. Anyone who is searching for the a great home sewing machine for free-motion quilting will enjoy this and it truly is one of the very best. You not only have a lovely tool for sewing but a great tool for quilting as well. If you are someone who wants a great machine, the Janome HD1000 has to be it. However, there are fourteen built-in stitches to choose from and the machine is going to last for years. The heavy duty feel is excellent and while you might think it isn’t needed, it is. If you are someone who will spend a lot of time at home sewing or free-motion quilting then this will be the tool to use. It will last through a lot and it’s easy to use as well. The free arm is a great addition and you can set the speed to however you like. This will make quilting easier than ever before and you can enjoy your time working with this as well. Anyone who loves to sew will enjoy using this tool and it certain offers quite a lot of quality too. If you’re just starting out quilting then you want a good machine that’s suitable for beginners as well as suitable as you progress. This might not seem overly important now especially if you’re a beginner but it is as you don’t want to have to buy another machine a few months down the line. 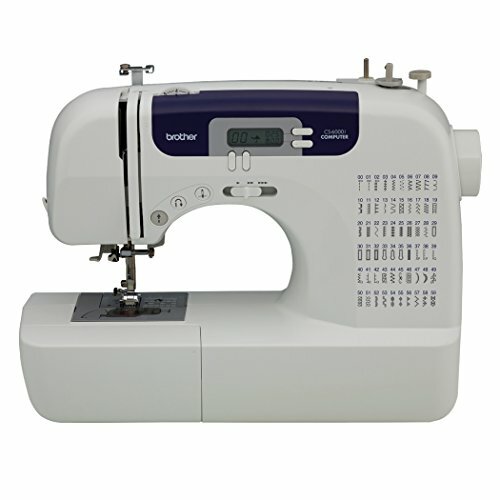 Buying the best starter sewing machine for quilting is easy and the Brother PC-210 PRW Limited edition project runway sewing machine is up to the job. 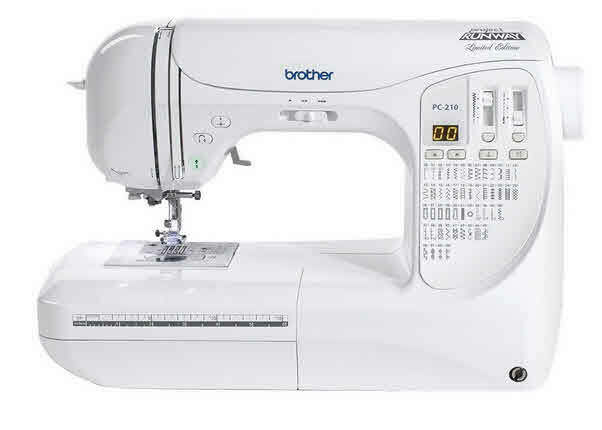 The Brother PC-210 is a perfect machine for beginning quilting and it comes with a decent price too. 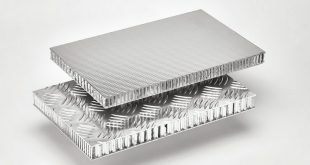 However, there is real quality onboard with this and that is vastly important as you know this is a true quality item. The construction of the PC-210 machine is really quite good and that’s something you have to remember. You want to ensure this lasts a lifetime and the machine will and it does look good. The computerized machine is quite impressive and it will be one that stands out. 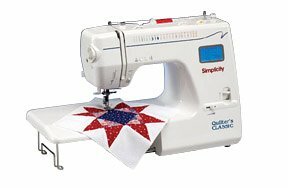 The PC-210 PRW is perfect for beginners as well as experts and this will make quilting very easy. The quick set features are perfect too as it makes it easier to set your width and stitch length control. There are in fact fifty stitch styles to choose from. The LED screen is appealing and the touch pad operation panel is a great addition and it’s easy to use. 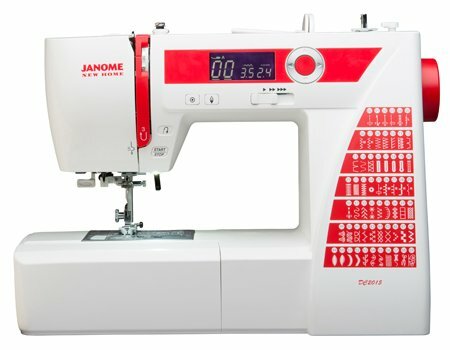 One of the very best sewing machine brands to choose today is Janome. Now, Janome is a big name and it’s one to enjoy time and time again. What is the best Janome sewing machine for quilting? Well, theJanome Magnolia 7318 is a great machine and it is one of the very best available from Janome today. First of all, you are getting a fairly decent price which is important for most and secondly it comes with a lovely design and finish. Finishing might not mean much to most people but it’s important to say the least. 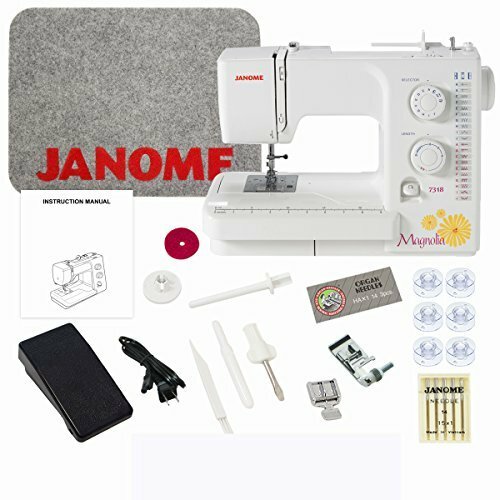 The construction of the Janome Magnolia is really quite impressive and strong and this is going to be durable and very reliable also. The handy carrying handle is a perfect addition as it makes the machine far easier to transport. However, the eighteen stitch designs are amazing and it makes this far more versatile than ever before. The feeding feature makes it simpler to get control whilst sewing and the top loading design prevents jamming threads so you get tangle free sewing. 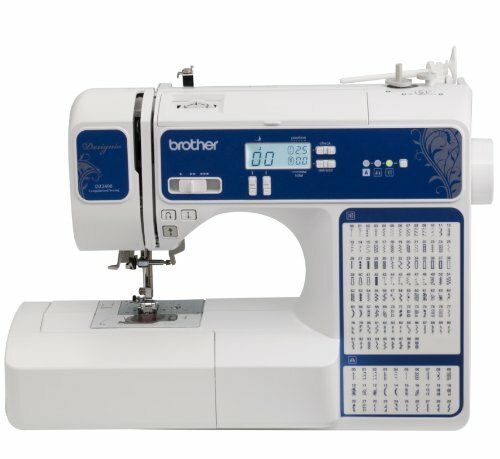 The Brother Designio Series DZ2400 computerized sewing and quilting machine has to be the best Brother sewing machine for quilting. This machine is not only appealing but really stands out for all the quality it has to offer. 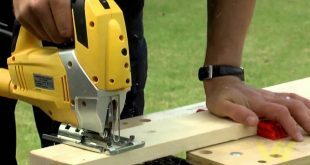 You aren’t just getting a reasonably priced machine, you’re getting a highly sought after tool. However, it really does look it’s best and it feels very professional too. The sewing and quilting features are really simple to use and setting up the machine for the first time shouldn’t be too much of an issue here either. The stitches that are built-in expand vastly and are well over the one hundred mark which is amazing! However you can get excellent control no matter what you’re using the machine for. The Brother is a reliable tool and one which is quite versatile as well. The design of the machine is quite simple and yet it’s very much appealing. The construction is at its best and there are plenty of programs to choose from as well so everyone’s a winner. 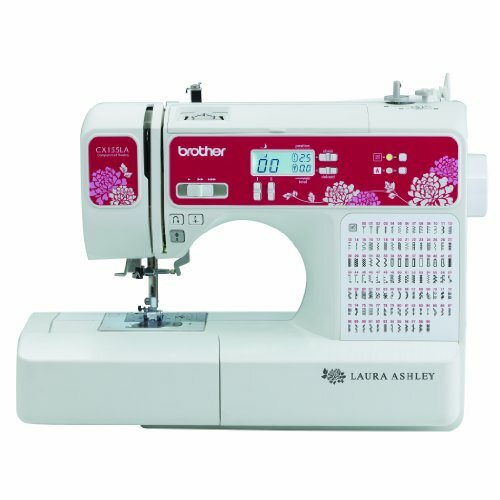 Whether you have experience with these or very limited, the Brother is a great sewing and quilting machine. Quilting is a simple task when you have the right sewing machine and the Bernina is a high quality name to consider. Buying the best Bernina sewing machine for quilting is simple and one which is great is the Bernina Artista 630E sewing, quilting and embroidery machine. This Bernina is a lovely machine and it certainly is one to enjoy time and time again. However, the cost for the machine is pretty inexpensive and it does offer a lot of quality in terms of effectiveness and design. Using this machine should be a real piece of cake and anyone who loves embroidery will enjoy the embroidery features that accompany this. Users are able to get up to nine hundred stitches per minute! Yes, this machine is that impressive! However, it can also come with around seventy pre-installed designs too. There stop and start feature is incredibly easy to use and setting speed control is simple too. In terms of embroidery stitches, you can get anything up to six hundred and eighty a minute so again, that’s great. This entire machine is super in terms of design, quality and what is has to offer. Singer is a big name when it comes to sewing machines and they really do have a huge selection to offer. However which is the best Singer sewing machine for quilting? 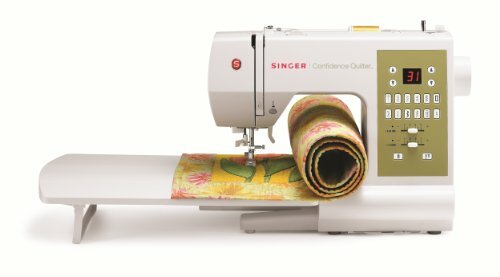 There are many great options to consider and one of the very best must be the Singer 7469Q Confidence quilter computerized sewing and quilting machine. However this does come with a fairly decent price and there is a lot of quality on offer as well. The Singer looks amazing and really is quite easy to setup and use. The simple design may not appeal to everyone but quilters will enjoy this use to say the least. The extended sewing arm is a great addition and it’s computerized too so it will make using this a lot easier no matter your skill level. There is nothing to dislike here and it certain looks amazing. However, the standout feature must be the automatic needle thread feature and there are over ninety built-in stitch options to consider as well. There are various programs available to choose from and the quilting feet feature is amazing. You are not going to run into difficulty here. If you want to find the best sewing machine for quilting and general sewing then you might want to take a close look at the Brother CS6000i feature-rich sewing machine with 60 built-in stitches. The Brother is truly a quality piece and it’s one that most will enjoy time and time again. 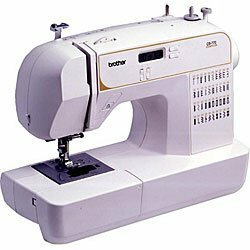 However, the CS6000i can handle a lot; you can sew your quilts with this and handle a lot of basic or everyday sewing tasks. This is certainly a top quality machine and it’s one you will enjoy time and time again. When you first see the CS6000i, you will think it’s quite appealing and in a way it is. It comes with a very simple look and it’s one to enjoy. However the design is quite simple and it will be something you can easily setup and use. Setting up the machine is really easy to do and you won’t struggle too much either. However, the cost for the machine is pretty good and you are getting a host of simple but effective features. The jam resistance thread feed is a great addition and the start and stop button is easy to use as well. The CS6000i is quite versatile as it handles a lot of tasks in such a short period of time. Money can become an issue for many sewers and quilters as they don’t want to part with a lot in order to find the best machine. 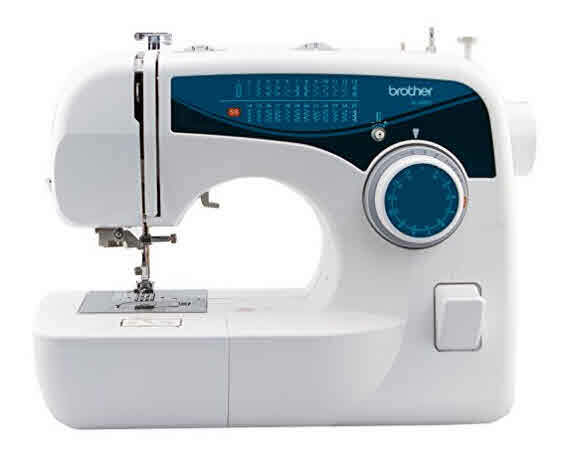 However, there are many great options to consider the best inexpensive machine for quilting has to be the Brother XL2600I. The Brother is a great machine and it’s one to enjoy time and time again. However, while you are getting a very affordable price, you are still getting a quality machine. There is nothing to dislike about this and it certainly comes with a lot in terms of design, style and it’s easy to use. This is what users want as they don’t want to work with a machine that is complicated to startup or use; and this certainly isn’t. The needle thread feature is great as it makes threading the materials a lot simpler. However, the drop in bobbin loading and auto winding is a nice addition too. You have a little storage compartment for threads and other materials which is a nice touch. See more affordable machines on our under $200 post. No-one wants a heavy sewing machine that is hard to use or difficult to transport otherwise it just doesn’t work. You want an effective machine that is going to last a lifetime and offer easy-use and the Janome Jem Gold 660 12-stitch compact lightweight sewing quilting machine is just that. This is not only a light tool to use but one which is extremely versatile and very reliable. The basic design is very simple and yet it does offer a lot of quality. You get a sleek finish with elegance thrown into the bargain. However, the costs are fairly reasonable and you are getting a very easy tool to use as well. Setting up the machine shouldn’t be too troublesome and you can sit with this for hours without tiring. The built-in needle thread is a lovely feature and make’s it far easier to thread your materials. However, the one hand thread cutter is another great addition and the extension table and free arm work perfectly too. This is certainly a tool to enjoy. The Janome JNHMC7700QCP craft sewing and quilting machine is truly a lovely machine and is has to be the best machine for piecing quilts. You are going to find this easy to use and it’s versatile as well. This machine will allow you to tackle any sewing or quilting project with ease and it’s a lovely machine overall. However, the cost is fairly good for what you’re getting and while many will not adore the price, they will certainly adore this machine. The overall look is nice and quite appealing and it’s certainly an easy tool to get your head around. There is a lot on offer here and the LCD screen is a real treat for users worldwide. The Janome machine does have a certain look about it that makes it very attractive. You are not just getting a basic machine, you’re getting a quality machine for piecing quilts and tackling any task you have. That is why more are choosing this and it is a lovely sewing machine too. The Laura Ashley limited edition CX155LA computerized sewing and quilting machine with built-in font for basic monogramming is truly the best portable sewing machine for quilting. This is not just a nice unit but a perfect portable unit as well. It is truly a great machine that is great for quilters and those who want a reliable and very sturdy tool. The CX155LA comes with a variety of stitches and it’s quite compact as well which is perfect. 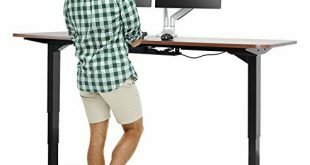 However you do get an extra wide table so that offers more sturdiness nonetheless. The overall look of the CX155LA is quite simple and yet very effective. This will certainly be the best feature and you will enjoy using this time and time again. In terms of quilting you shouldn’t have too much trouble and it’s really affordable too. That is a fantastic piece and something you are going to enjoy too. However you are going to get a lovely sewing machine and it certainly stands out for all the right reasons. There are many great sewing machines out there today and it’s often difficult to know which way to turn. So, which is the a good machine for quilting and appliqué? Well you do have a variety of options and one which is great has to be the Janome memory craft 6500P/MC6500P computerized machine. This is truly a lovely machine and it’s one which is very impressive too. However you are getting a lovely machine for the price and it does offer everything you will need and so much more. There is a certain quality about this machine that makes it standout and it will certainly be something that you enjoy using. The Janome is quite a big name and it certainly does have so much to offer users as well. They are going to make sewing and quilting easy and you are going to just love to use this. Anyone will find it’s easy to set up and the computerized features are perfect too. 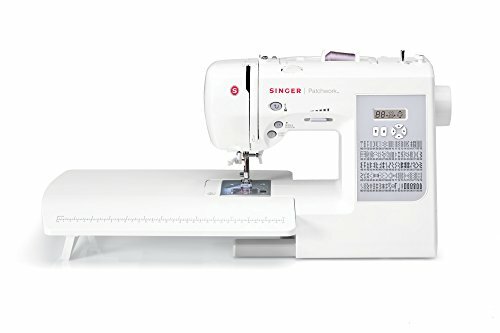 The Singer Patchwork 7285Q sewing and quilting machine is a perfect option for those who want a high quality machine. This Singer has to be the best machine for patchwork and quilting and it truly is a wonderful looking tool. The design of the machine may appear basic but there is a real quality to it. The construction of the machine is impressive and very strong too. You will not have to go in search of another machine as this handles everything you need to deal with. 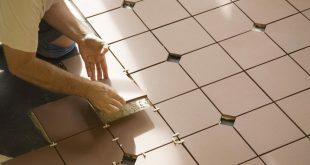 This is great for experts and beginners alike and it’s very cost-effective too. You might not give a lot of thought over cost-effectiveness but it’s very important. The Singer comes with an automatic needle thread feature and the top drop in bobbin too. 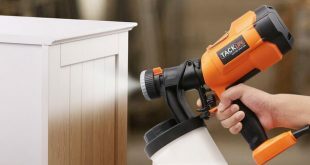 This will prevent any sticking from happening and it will be an easy machine to use as well. Anyone will enjoy using this machine and it’s very appealing as well. A sewing machine that’s designed for quilting really needs to be able to offer quality beyond what you know. It has to be versatile so that it works for everyday sewing, but also be able to handle quilting. Not all machines are able to handle these things so it’s a real treat when you find one that can handle both. Buying the most fit quilting machine is simple once you put your mind to it. When you’re done quilting, you will want to iron your freshly sewn piece, so see our suggestions for a great iron for quilts, and find the perfect board to do your ironing on. Previous What Is The Best Sewing Machine For Leather? 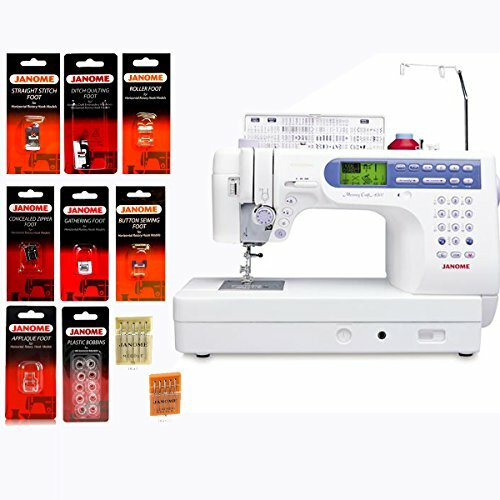 Next What Is The Best Sewing Machine Under $100 To Choose From?